 Be prepared to feed 25 people.  You choose the menu and purchase the food and ingredients.  Food must be prepared on site (unless purchased at a restaurant).  Breakfast should be served at 10 a.m., lunch at 12:00 p.m. and dinner at 6 p.m. Brunch should be served at 10:30 a.m.
 The House is equipped with a full kitchen, stocked with pots, pans, bakeware and utensils; dinnerware and silverware; and dishwashers.  Meals are served buffet style (we suggest bringing disposable aluminum trays for serving).  Dessert is optional, but always welcomed!  Groups must clean the kitchen and all utensils from cooking. Once the meal is set out and the kitchen is clean, you may stay to serve but it is not required. After your leave, our staff is prepared to clean up leftovers for families to enjoy later. Prior to your group's first meal preparation, a representative of your group must schedule a tour of the facility; during the tour, the staff will review the rules and regulations of the House and the Meal Program. Children under 18 years old must be accompanied by an adult. Please be aware that you may not always have the opportunity to interact with families, especially daytime meals, as the families may be at the hospital when your group is volunteering. We are a group of friends who want to help the community! The Lipski family, based in Somers, NY is trying to teach and include children and adults alike the need for compassion and and understanding for others. We just a family, that we like to help others and be part of the community. Let's help families in their time of need by providing a nourishing meal. The NYMC GSA is dedicated to enhancing the community life for students. One main way we do this is by incorporating events that allow for the student body to reach out to the greater Westchester community. We are a group of graduate students from New York Medical College. As the GSA, our mission is to enhance the community life by incorporating events that allow students to reach out to the greater Westchester community. Our team is all about giving back! Cooking while caring! The best of both worlds! We strive to teach our children to give back through philanthropic efforts. If anyone wants to join our bunch we are ready with whisks and spatulas to serve up some smiles at the RMDH. We are the team from Microsoft Store in The Westchester! We are here to help our local community any way we can. We are trying to gain service hours for National Junior Honor Society, a program at our school, and help others in need through cooking. We are trying to gain service hours for National Junior Honor Society, a program at our school. 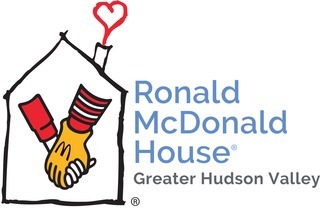 Let's continue the Christmas tradition at the Hudson Valley Ronald McDonald House! My family of five would love helping cooking for a family in need. We have been very blessed throughout the years with health and financial stability and feel we have so much to give back to our community. Please help us join in the fun and joy of giving! Heavenly Productions Foundation is a certified 501c-3 not for profit whose mission is to help children in need or in distress. We are a family that enjoys helping others. The date for us to volunteer is Saturday, March 24th 8am-11am. Post your name here to sign up or call/email me to let me know you can make it.